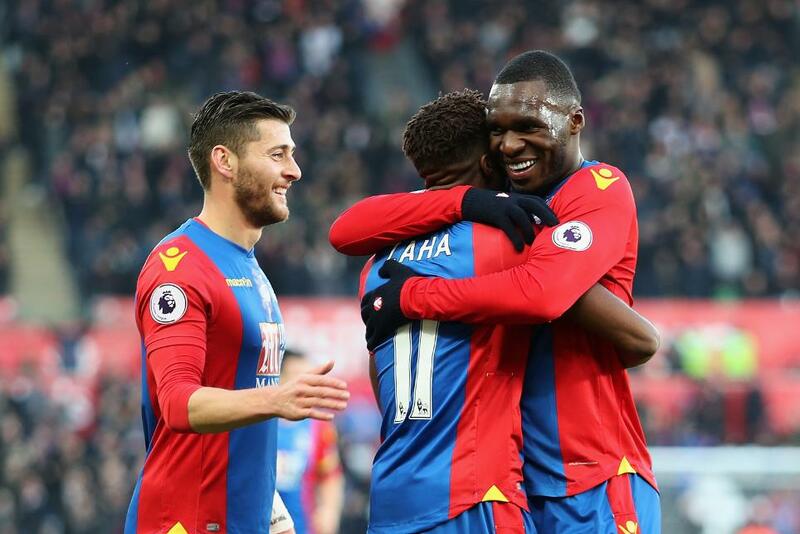 Christian Benteke (£7.2m) is among the leading Fantasy Premier League captaincy candidates as Crystal Palace prepare for two matches in Gameweek 34. One of three sides along with Manchester United and Middlesbrough with back-to-back fixtures, the Eagles travel to Liverpool before hosting Tottenham Hotspur in midweek. Zlatan Ibrahimovic (£11.4m) would have been the favoured captaincy option for many but, now a doubt for Man Utd's visits to Burnley and Manchester City, he looks unlikely to challenge Benteke. Instead FPL managers are turning to Marcus Rashford (£6.5m), who could retain the central attacking role handed to him by manager Jose Mourinho in Sunday's win over Chelsea. The 19-year-old’s goal and assist in the 2-1 UEFA Europa League victory over Anderlecht on Thursday means he has found the net in three of his last four appearances across all competitions. As a result, Rashford been transferred in by 71,000+ FPL managers in the past 24 hours and is the new top transfer target for Gameweek 34. In total 139,000 have drafted him in. "Over 121,000 #FPL managers have acquired Rashford"
With two goals in his previous two starts, Middlesbrough’s Alvaro Negredo (£6.2m) is also in the running for the Gameweek armband. Introduced to more than 80,000 new squads ahead of Saturday's 2pm BST deadline, Negredo first takes on an AFC Bournemouth defence that has conceded at least two goals in seven of their last eight home matches. He then hosts Sunderland, who have recorded only one clean sheet on their travels all season. But Tottenham Hotspur's Harry Kane (£11.5m) has the form to usurp the Double Gameweek strikers. Having recorded 10+ points in each of his last three starts, Kane visits a Crystal Palace side who have conceded more shots inside the box (48) than any side over the last four Gameweeks. Elsewhere, Everton’s Romelu Lukaku (£10.5m) will look to extend his incredible record against West Ham United. The Belgian has struck in each of his nine appearances against the Hammers in all competitions during his Toffees career. Owned by 46.7%, Lukaku registered a 12-point haul against Slaven Bilic’s side back in Gameweek 10. Three of the top five scoring midfielders in FPL – Alexis Sanchez (£11.5m), Eden Hazard (£10.4m) and Roberto Firmino (£8.6m) – all face promising home fixtures. Handed a support striker role at Middlesbrough on Monday, Sanchez returned to the top of the FPL player standings with a first goal in four appearances. He and Arsenal now host a Leicester City side who have conceded at least two goals in five of their previous six on the road. Sanchez's midfield rival Hazard has claimed three double-figure hauls for Chelsea in his last five Gameweek appearances ahead of his Stamford Bridge match versus Southampton. Finally, Liverpool's Firmino has scored or assisted in six successive Gameweek appearances as he hosts Crystal Palace, who will be without influential defender Mamadou Sakho (£4.8m), the loanee ineligible to face his parent club.